Every so often, life gets in the way of what we plan. For some of you, perhaps it seems like this happens more times than you’ve wished. I admit, I’m a planner, and this year, my plans did a 360! 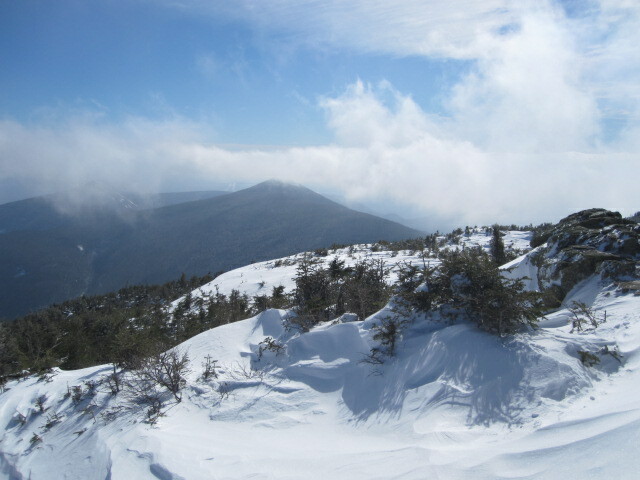 After completing a few more of my NH Winter 4,000 footers, and doing some smaller hikes in the fluffy white stuff, I could see my next huge adventure in front of me, Mt. Kilimanjaro in July. Planning for this adventure started in August of 2016. Then, right in the midst of getting ready to book the airline last spring, life took a huge detour! For those who know me, hiking is my passion. I love to hike in my home state of New Hampshire. I love hiking in Bow’s Nottingcook Forest. I get giddy with excitement about hiking in the Western U.S. I have been so lucky to have hiked in outrageously difficult terrain outside of the U.S. The bottom line is hiking gives me a sense of peace, and allows me to unplug from the daily life I lead. It connects me, physically to the earth. It allows me to push myself further with every step I take. This year, the steps stopped for nine months. Family responsibility, took precedence, alongside the daily life activities like work, cleaning, cooking, and taking care of those most important in my life. It also took precedence over writing, which is another one of my favorite activities. It seemed like the orange and black “detour” signs showed up every week. Each time I planned to get “back on track” with my life, another detour popped up. The signs have now been removed. I can see the climb to Kili in the distance. I know there is a whole different future waiting for me compared to how things were planned nine months ago. I have no regrets about putting things on hold. Message me if you’d like the details on why this detour was necessary. Although it was difficult not to lace up my hiking boots weekly and head north, or to sit and write about my next adventure in wisdom, it was the right thing to do. No looking back, no regrets. The new hiking boots were laced up last night and took a night hike, and the blog is back! Maybe that means I’m going to hiker stronger than ever before. Maybe what I write will resonate with more individuals than before. Maybe that detour was actually pointing me in the right direction the whole time.